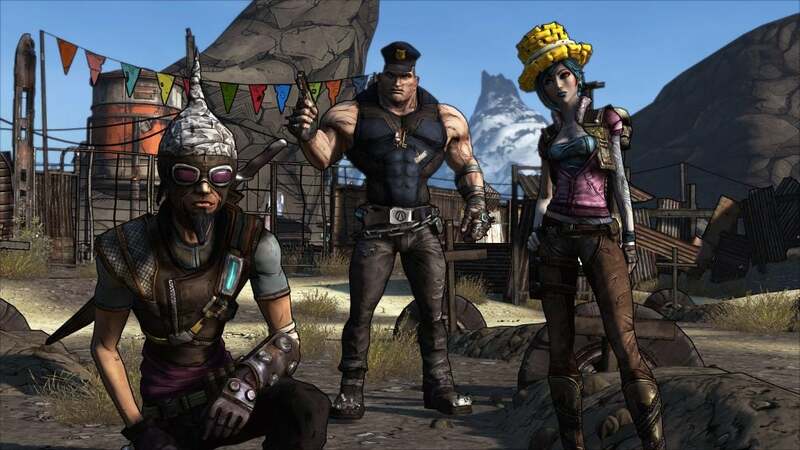 Borderlands was a trailblazer open world shooter when it launched way back in 2009. Sending you out into a vast, post-apocalyptic world, you were encouraged to explore and grind for loot, as well as gun down anything that moved. Whether alone or with friends, Gearbox Software had served up an adventure that kept us engrossed for hours on end. This was not your typical linear shooter. But 2009 was a long time ago, and game design has evolved in many ways since. 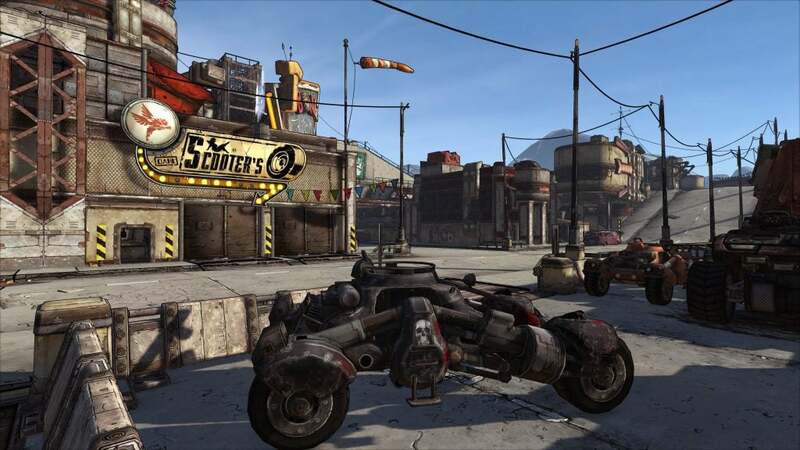 With the recent announcement of threequel Borderlands 3, it’s time to revisit where it all began, on a remastered version made for modern platforms. 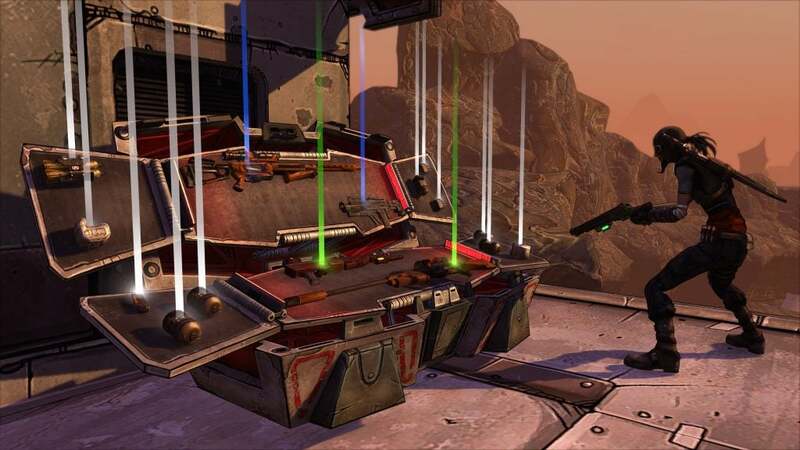 Borderlands is an absolute joy to return to, and yet, once you hack past all the extra bells and whistles and get to the game’s core, you appreciate how much has changed over the last decade or so. A quick recap – you are a Vault Hunter, one of four ambitious mercenaries making themselves known on the hostile planet of Pandora. This is before the days of Handsome Jack, Sanctuary and the greater staples of Borderlands lore, and so it feels lightweight in retrospect. It’s almost freeing in a way, stepping off the bus and hanging with Claptrap before stakes were upped and the fate of the entire world hung in the balance. On the flipside, it also makes everything feel bland and disengaging to a degree, characters mere spectres compared to the enthusiastic personalities they’d become in future instalments. Claptrap is still an annoying piece of trash, though – a high-pitched robot spewing lewd innuendoes that are desperately out of touch, like a friend who keeps repeating a once classic joke hoping for the same laughs. Thankfully, what matters most here is the shooting and looting, two elements that hold up wonderfully in a gaming landscape that has grown to adopt the loot shooter formula to a massive degree. After picking your Vault Hunter, each of which has its own distinct abilities, you’re thrown into a small town and funnelled through unimaginative tutorial quests. I spent hours running from one quest giver to another, handing in assorted items to complete objectives. It feels akin to MMORPGS, right down to the minuscule amounts of EXP and optional rewards. You quickly fall into a routine, and with Borderlands yet to find a cadence with its goofy characters, much of it feels quietly muted. Outside of the archaic quest design you’ll be waltzing across Pandora, doing battle with anything that moves. And you won’t need to look for trouble, it’ll come to you. Even from a distance bandits will take potshots while skags, evil devil dogs, routinely bite at your heels, begging for a shotgun blast. Borderlands: GOTY Edition is available for PS4, Xbox One and PC, with PC owners of the original game able to snap it up as a free upgrade. Textures have been bolstered to accommodate 4K resolutions and HDR support. It won’t blow anyone away, but it runs brilliantly and the cel-shaded aesthetic works well on new platforms. The look is timeless, only held back by environments clearly designed for platforms long since abandoned. Shiny new visuals are all well and good, but the quality-of-life improvements this remaster brings are far more important. For starters, the user interface has been overhauled to match that of Borderlands 2, making it far easier to manage your spoils, upgrades and other trinkets. It can still be finicky, but a far cry from what came before it. Split-screen has been upped to four players, meaning you and a group of friends can team up from the same sofa without the need to play online. It’s a cool feature, although halves performance down to 30fps to accommodate for all the extra chaos. Even if I didn’t find much practical use for this feature, its mere presence is welcome in a medium that continues to abandon such things. Many of this remaster’s shortcomings only heighten my anticipation for Borderlands 3. Being able to customise more than the colours and headgear of my hero would be wonderful, lending them personality beyond an avatar I only really see when dipping into menus. In a world where Destiny and The Division 2 let you customise the smallest of details, Borderlands needs something to set itself apart. If you can allow for its archaic feel then there’s a wealth of content discover here. The main campaign consists of dozens of hours, and that’s without the plentiful DLC packs that come as part of this affordable package. But once again, I think your time would be better spent elsewhere, unless the nostalgic pull is too much to resist. For me, it just wasn’t. Even with all of the impressive enhancements, Borderlands: GOTY Edition still leaves much to be desired. The genre has moved on so much in the past decade that it’s hard to recommend this to anyone but true believers. The gunplay, exploration and character customisation feel simply old hat in the modern era, falling behind contemporaries which, at the time of writing, are cheaper and far more engaging. There’s still a lot of fun to be had here, but I’d recommend picking up the Handsome Collection instead. The post Borderlands: Game of the Year Edition appeared first on Trusted Reviews.